US, 2007, 107 minutes, Colour. Willem Dafoe, Scott Speedman, Peter Stormari, Clea Du Vall, James Rebhorn, Amy Carlson, Deborah Harry. This is a rather cerebral and aesthetic-focused serial killer investigation. There is an explanation of the title later in the film: a Renaissance technique with painters (illustrated by a Rubens and other pictures) offering one scene but, with a different angle of observation, offering another. Willem Dafoe portrays a detective who thought he had solved a serial killer case but was retired to teach at an academy. He explains to his students that they can only work on a crime scene by examining the evidence within the frame of the scene. He has to learn that there are other angles. The film is principally Dafoe who appears in all scenes except two towards the end. He portrays a man who drinks too much and is an obsessive compulsive in the fastidious details of his life. When he is asked to come back because, after five years, it seems a copycat killer is murdering victims and setting them up like art works, he goes to work to solve the mystery. He is a brooding, taciturn and lonely man, hard to communicate with – although he does interact with his antiques dealer (Peter Stormare) who offers ideas on the modus operandi of the killer. The screenplay gives a great deal of attention to the aesthetics of anamorphism which may be difficult for some audiences, especially if they do not have an eye for this kind of art. The rest of the cast, which includes Scott Speedman as a detective partner, is not given so much to do, so the focus is always on Dafoe and his activities and working out what is going on in his mind. 1.A satisfying mystery? Detective story? Character-driven? Plot-driven? 2.The title, the Renaissance technique, the paintings, the illustrations of the theory? The different perspectives? The different pictures within the one picture? 3.The Uncle Eddie crimes, the victims, displayed like the pictures – and anamorphism? 4.The background of the Uncle Eddie murders, the crimes, the modus operandi, the leads, Stan and his investigation, the confrontation, the suspect, the shooting, Stan’s certainty that Uncle Eddie had been caught? 5.The effect, on Stan himself, his personality, his obsessions, his drinking? Lecturing? The boss, asking him to come back? Carl as his partner? The crimes, his being a loner? The various police and their reactions to him, the media? His apartment, lonely? 6.His lecture, the frame and the framework for the solving of a case, the emphasis on evidence, his being very strict on the evidence? 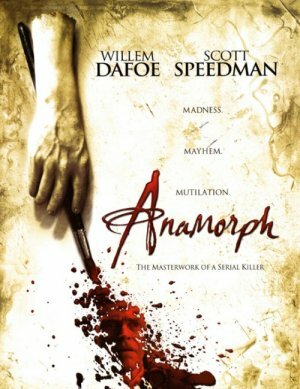 His having to change because of the anamorph theory? 7.The past, Stan, not saving the young girl? With her friend, the psychologist, the talk, his explaining his own reactions, his past? Her drinking, her being taken, the rescue? 8.Stan’s manner, abrupt, looking at the evidence, going to the crime scene, reconstructions, working at the office, the police reaction, the reporter and her questions and his putting her off? 9.Blair Collet, the discussions, Stan and his obsessions with Renaissance chairs, buying them, rearranging them? The catalogues? The interest in art, Blair and his observations, his theory, explaining anamorphism? 10.The name given, a lead, identity, going to the gallery to watch the work, the paintings, the manner of the manager of the gallery? 11.Carl, as partner, working with Stan, tensions, the visits, the end, Carl and his thinking, perspectives? 12.The initial couple, going into the room, death? The neighbour and her observations? 13.The warehouse, the victims? The final confrontation in the warehouse? 14.The pessimistic tone of the film, Stan and the final confrontation, his investigation, his life, trapped?